King of the Sky - Africair, Inc. It doesn’t happen often, but when it does, it’s almost indescribable. A product—a computer, a car, an aircraft—enters the market and forever changes the way we interact with the world. For those who truly understand the innovation behind the technology and design, it’s like joining a club. Thousands of Beechcraft® King Air® owners know the feeling and can’t imagine ever owning another aircraft model. Loy Allen, Jr. is one of those pilots. He’s not kidding. Allen often finds himself landing his King Air on unimproved, short airstrips to get closer to his favorite coastal fishing spots and remote job sites. King Air turboprops have been earning Allen’s loyalty for more than 20 years. The series first caught his eye when he raced on the professional stock car circuit in the 1990s. When getting to his next race in time required air travel, he always found himself on board a King Air. Whether he and his team were filling the cabin with passengers or cargo, they could count on the aircraft’s reliability and adaptability for any mission. Today, Allen still loves the King Air for its smooth in-flight performance. He also touts the airplane’s ability to slow quickly on descent and the rugged dual wheels, which make landing virtually anywhere possible. Allen says oyster-shell paving can be hard on tires, be he trusts the dual landing gear to get him securely to the tarmac. Allen may have left his race car behind when he left NASCAR, but he took with him his experiences in the King Air and remembered them when it was time to expand his business. With a well-earned reputation for being a utility aircraft, the King Air turboprop’s flexibility easily fulfills a broad range of missions for thousands of businesses like Allen’s worldwide. From transporting executives in the well-equipped, comfortable, leather-clad cabin to delivering mission-critical personnel and equipment, the King Air has the unique ability to transition between ruggedness and luxury without compromising either. 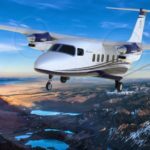 Executives from large companies are cashing in on those benefits and supplementing their fleets with similarly-equipped, similarly-sized turboprops. That low cost of ownership is well-known among King Air owners—most notably, how little fuel the aircraft need. Every year Allen does his own calculations, and the numbers are always the same—an average of about 100 gallons per hour. He credits some of that efficiency to his RVSM rating that allows him to fly at altitude during short missions. Easily accessible cabin storage is especially important when customers or children are on board. Allen says it’s not uncommon for someone to unexpectedly need something out of a bag—a child’s toy, a power cord or a must-have electronic device. Allen also calls his maintenance costs, including overhauls, reasonably-priced. 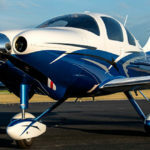 With an insurance rate similar to his previous twin-engine turboprop, he’s getting more payload without much more cost. They’re all big and little reasons he stays with the aircraft that got him going in one career and now keeps him moving in another.